With the cursor in the appointment, press Alt+Up Arrow or Alt+Down Arrow, respectively Move an appointment up or down. With the cursor in the appointment, press Alt+Shift+Up Arrow or Alt+Shift+Down Arrow, respectively Change an appointment's start or end time. To select a specific card in the list, type one or more letters of the name that the card is filed under, or type the name of the field you are sorting by. 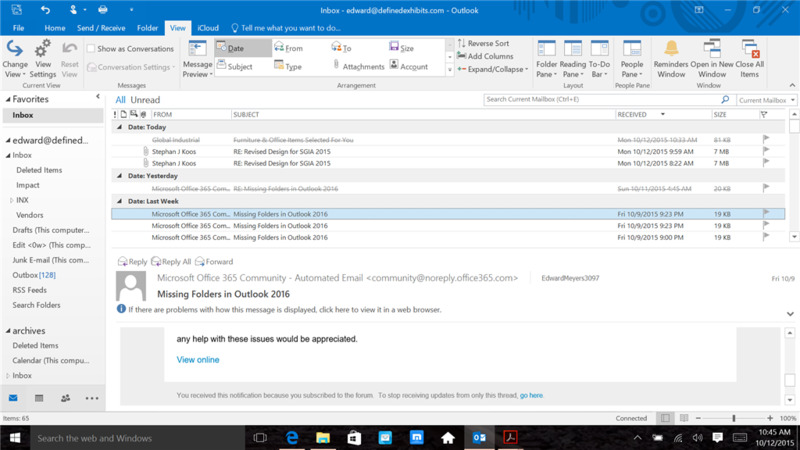 Microsoft Outlook is email client from Microsoft. It also includes calendar, task manager, contact manager, journal, note taking and web browsing features. What is your favorite Outlook 2016 and Outlook 2013 hotkey? Do you have any useful tips for program? Let other users know below.